The bundles will be sent after confirmation of the payment. 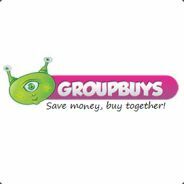 I will send you a message via steam chat with all the payment details you need to send the payment. You have 3 days to send the payment, otherwise your reserved slot(s) will be offered to someone else. If you know that you can't pay within 3 days please send me a message with a timeframe when I can expect to receive the payment. A special thanks goes out to Kzilla for helping me to sort the keys. You can pay in € and $ (PayPal only) or CSGO (no capsule or hydra) keys. If you pay in € or $ you have to cover any fees. My PayPal account is located in the EU. 1 please! Many thanks for hosting!!! One for me pls! Payment sent! One copy please, payment sent. Thanks!